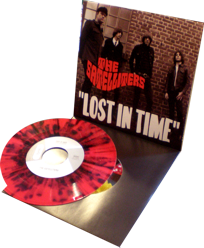 Just released on El Beasto Records, Spain: The Satelliters “Lost In Time” b/w “Try It Out“ 7″ single. “Lost In Time” is a collabration between ’60s garage legend Neil Ford of Neil Ford and The Fanatics, and Steve Sunrise of The Satelliters. Neil wrote the lyrics in 1969 after he left The Fanatics, and Steve put them to music in 2009. “Try It Out” is a 2:11 fuzzfest of 60s/00s garage punk extreme! The record is pressed on red and black splatter vinyl with a beautiful, thick picture sleeve and protective black inner sleeve. A quality artifact, indeed! $7 flat rate or $5 with a recession story of 75-100 words, written prior or at the door or step into THE RECESSION CONFESSIONAL (brought to you by INSURGENCY INC), an easy way to save a few bucks, step into the booth and tell us your hard luck story. Written stories will be read by the patio host throughout the course of the evening. Live Confessions will be shown live and featured at http://insurgencyinc.com following the event. Originally the blues “Crossroads” was a literal right-angle crossing of two railroads – “where the Southern cross the Dog” – in Moorhead, Mississippi. The “Southern” was a line of the Southern Railway, sold to the Columbus and Greenville Railway in 1920, and the “Dog” was the “Yellow Dog”, officially the Yazoo and Delta Railroad, part of the Illinois Central Railroad system after 1897. This place is mentioned in a number of blues, including the recorded works of W. C. Handy and Bessie Smith. There songs were influenced by The king of the Delta Slide Guitar Robert Johnson who tells a story in his song “Cross Road Blues” about going down to the Crossroads and selling his soul to the devil to learn how to play guitar. Joel Bloom, who owned and operated Bloom’s General Store since 1994 in the Arts District of Los Angeles, was one of the forces responsible for bringing the Arts District much needed recognition. A sampling of his numerous achievements included bringing the community a bus route, 30 street lights, 75 trees, plus being active in the naming of the area known now known as the Arts District. 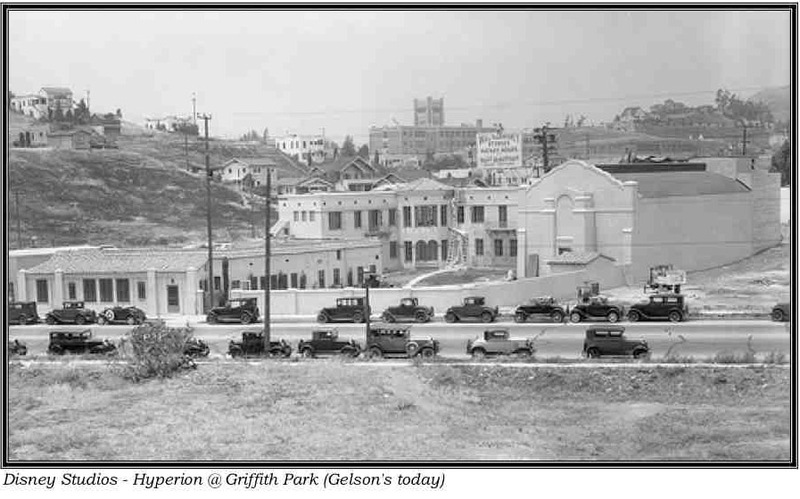 On July 3, the Los Angeles City Council honored Bloom by officially approving the Motion to rename Third and Traction in Downtown Los Angeles Joel Bloom Square. “Everything But the Kitschen Sync” 13th annual juried group show. 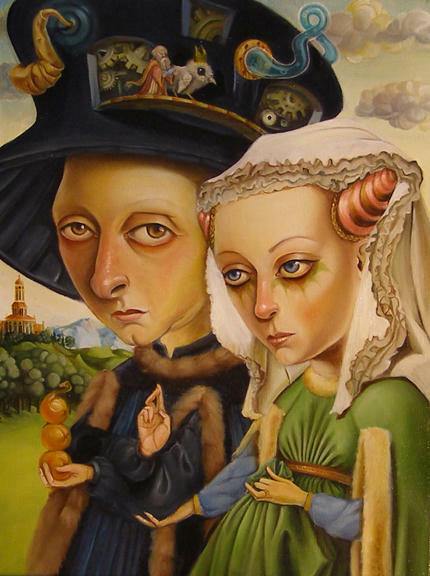 La Luz De Jesus Gallery proudly presents its 13th annual juried group show, “Everything But the Kitschen Sync“. This grandiose exhibition features work from what the gallery feels are some of the today’s most relevant artists. Commercial illustrators, tattooists, scenic painters, students, and animators have been invited to submit work of a more personal nature. 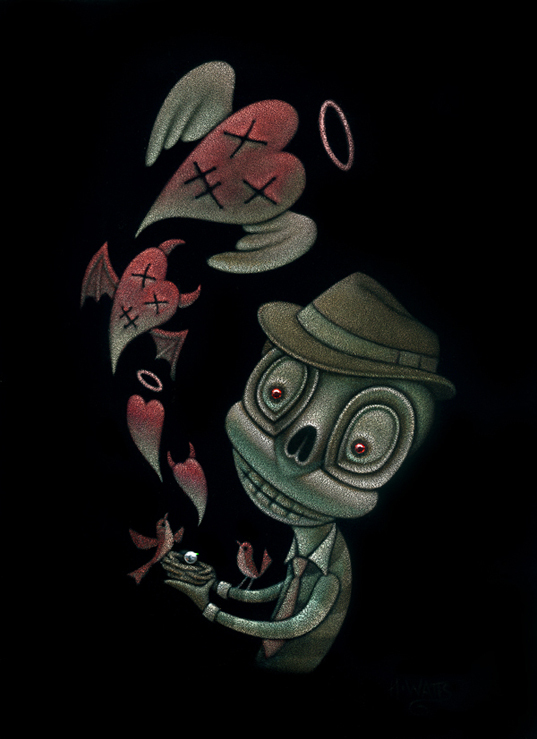 The show includes artists previously exhibited at La Luz de Jesus and also features a large selection of work from a brand new batch of undiscovered talent culled from months of submissions to the gallery. “Everything But The Kitschen Sync” is a wonderful forum for the gallery and its fans to check out new and upcoming art trends and get the first glimpse of tomorrow’s stars. It is also an incredible opportunity for art collectors to peruse more than 150 pieces of juried artwork by over 100 artists all in one viewing, and obtain undiscovered art at a very affordable price. 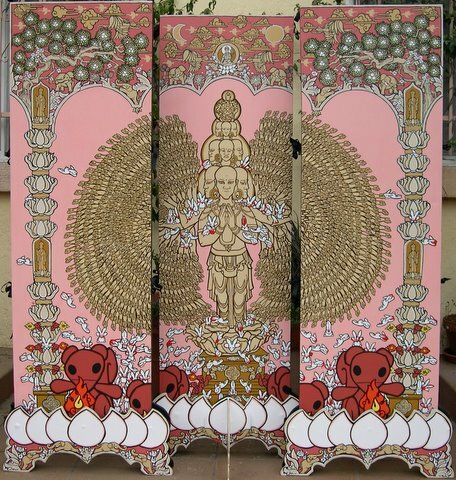 Many Kitschen Sych artists have gone on to be in La Luz group and solo shows and have launched their art career from this yearly show. Please join La Luz de Jesus Gallery in supporting the latest and most original efforts from the nation’s alternative art scene.